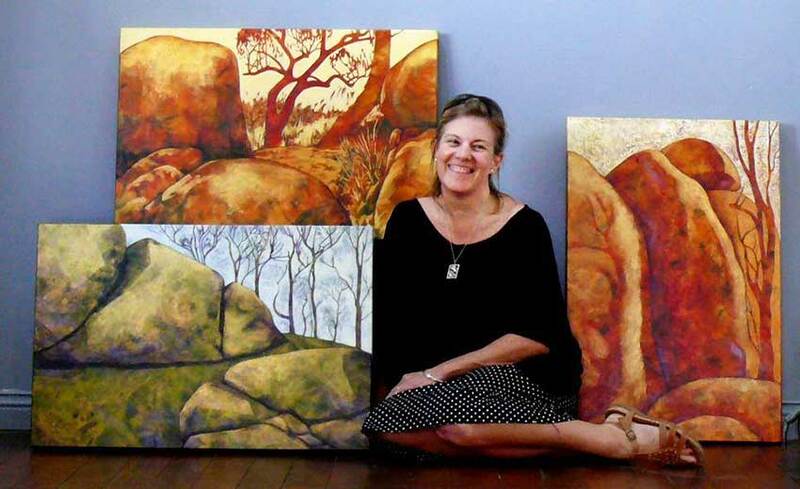 Karyn Fendley is a landscape artist based in northern New South Wales, Australia. She was raised in Brisbane and studied at Queensland College of Art. 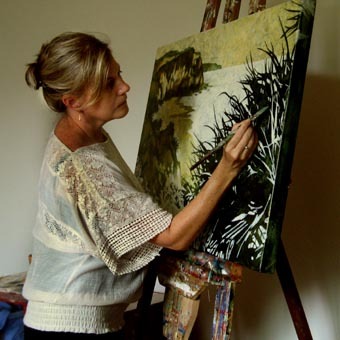 Since relocated to the north coast of New South Wales, Fendley has held regular solo exhibitions and exhibited in group exhibitions and competitions both within Australia and overseas. Her artworks are housed in public and private collections worldwide. Fendley's artwork investigates how we remember places we have visited and how to capture the essence of those locations with simple imagery. Her dramatic compositions, with their rich colour and flattened perspectives capture the essence of the landscapes she paints. Recent artworks explore various locations in northern New Souh Wales and South East Queensland, including the coastal heathlands and coastal landscapes of Arakwal, Bundjalung and Yuraygir National Parks in northern NSW, and the ancient time-weathered granite landscapes of Bald Rock and Girraween National Parks near Tenterfield.